Monday October 15, a day of silence, and collective shame for Cameroon. The Central African nation that has often drawn its inspiration and meaning from football glory, suffered another humiliation, a second successive failure to qualify for the African nations Cup. The Indomitable Lions’ 2-1 win over the Island nation Cap Verde, Sunday, in Yaounde was too little too late. The 2-0 away leg loss in Praia, was the undoing of Cameroon. The firing of French manager Denis Lavagne, and the mending of broken relations between skipper Eto’o Fils and whomsoever, and the impressive home support were all insufficient to spur the Indomitable Lions to the minimum three goal margin win they needed to qualify for South Africa 2013. 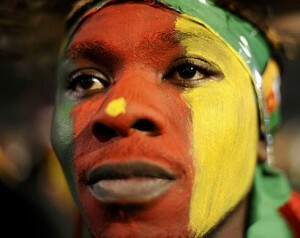 Mission Impossible Could Cameroon win Cap Verde by a margin of three goals? For diehards of the Indomitable Lions, Yes, for unemotional observers, No. In September 2011, Cameroon beat another Island nation Mauritius Island 5-0, as they struggled in the previous African Nations Cup qualifier. That was the last big win, for a team not known for its offensive power, and that has suffered putrid in-fighting since the South Africa 2010 World Cup. 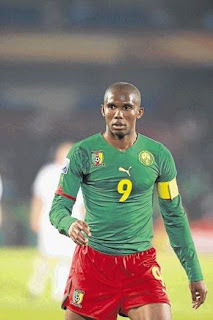 In fact Cameroon in its glory days defended well, kept clean sheets, and scored just enough goals to move on. Against Cap Verde, they took a goal within the first quarter, in a game in which Cameroon had to score and not be scored against. A quick equaliser by Achille Emana kept the faltering flame of hope burning, but the team’s lack of incisiveness quickly indicated it was not going to be a high-scoring game. The Indomitable Lions only scored again in extra time. By then thousands of fans had left the stadium heads down. Hope had fled with them. A thunderstorm broke. Actually the Sunday afternoon rainstorm over Yaounde watered down the embers of hope left in the stadium, and drenched the fur of the tamed lions, clutching desperately at the quick Cap Verdeans. It may have helped diffuse the anger of fans that made it to the Ahmadou Ahidjo stadium. The security deployment around the federation head office, the lions’ hotel and the stadium spoke to the fear of crowd trouble, from the fans who felt their lions were injured in the first leg but not defeated. For them, reality was just beginning to sink in. Failure sank in with heavier raindrops, and the fans most of whom left the stadium early, fled for shelter. The weather many observers think actually took the momentum out of the fans who have in the past pelted the team bus and destroyed players’ property in similar situations. An almost apologetic Samuel Eto’o said in a post-match press conference that ‘it could happen’, referring to the failure to qualify. Jean Paul Akono, in his defence asked the media if they would have been firing at him had the result been different. The hubris of the defeated. The outcome was certainly not positive, leaving the media licence to shoot and Akono whom many think was given a poisoned gift, needed to show more humility for failing to deliver the result he had been over-confident about. His decision to recall ageing players in the name of experience can legitimately be criticized after the team failed to produce the result. He owes the fans a more humble and reasonable explanation for the poor performance. This leaves us with some perspective. To look ahead we must also look behind. 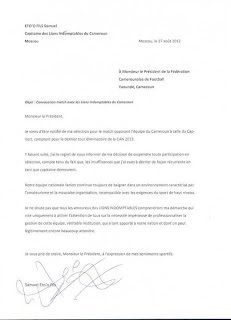 Samuel Eto’o’s condemnation of the ‘amateurish’ management of football by the federation still remains unanswered. 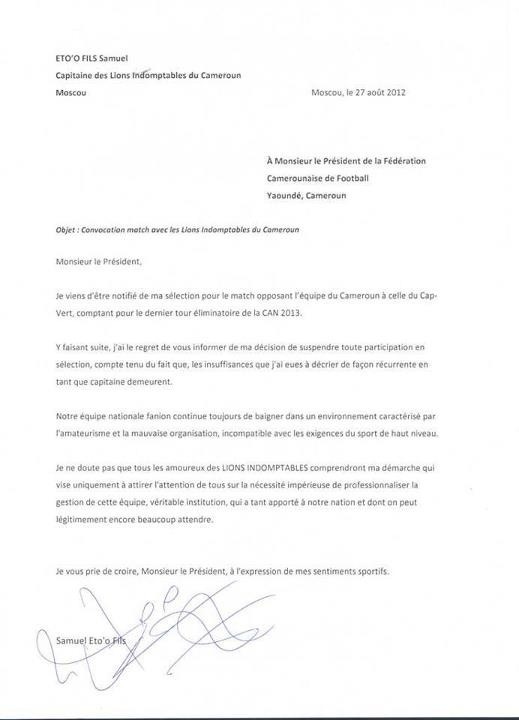 Cameroon’s team, now an assortment of players has no starting eleven, a team that plays together, regularly enough to get big wins against ‘minnows’.